Bailey wins the copy of Emily the Strange I had up for grabs. Congrats Emily! If you didn’t win, don’t worry. I’m still giving away a copy of White Cat by Holly Black. Thanks so much to everyone who entered. Nice to know I’m not the only one who leads a strange life! Nadia arrives in Canada after the end of World War II, from the Displaced Persons’ camp where she has spent the last five years. But troubling memories and dreams begin to haunt her. Who is she really? She sees images of another family, Nazi uniforms, Hitler . . . but can she believe what her dreams are telling her? At this point in my life I’m not ashamed to admit that I know pretty much nothing about history. I sucked at the subject in school and the way it was taught didn’t entice me to learn about it on my own. I know the basics like everyone else, but as for actual details? Yeah, you so don’t want me on your trivia team. So I love that there are all these books out there that may be fiction but are based on historical facts. I’ve read a few adult historical fiction novels but recently discovered a pure love for middle school and young adult historical fiction. I think it’s because these books don’t tend to assume that the reader already knows a crap load about the period or subject matter. 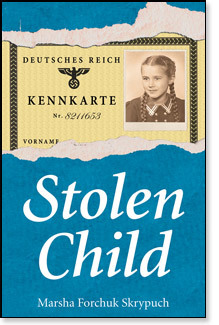 Stolen Child is an engaging story about one child’s journey to not only fit in in Canada after fleeing the Nazis, but to also try to piece together her past and where she came from. I loved reading about Nadia learning to speak English and her wonder at the local library. Her simple joy over the most basic things really brought home how lucky were are, and have always been, in Canada. Aspects of WWII and the Nazis are revealed through Nadia’s returning memories of her younger years. I loved that rather than simply telling us about Nazi specifics, the author chose to reveal the details in this way. I can’t really say too much because I don’t want to give anything away, but I definitely learned something new about that time period from Stolen Child. There are also a few pages of “Author’s Notes” at the end of the book that explain a bit more about what Stolen Child is about. I think that these included pages would be a big help to not only solidify what was in the book, but to help any younger readers who may be a bit unsure about what was fiction vs what was historical fact. I really enjoyed this book and I love that these middle school and young adult historical fiction books are kind of a sneaky teaching tool. I think that if I had had them available to me when I was in school, I wouldn’t have been such a reluctant history student. Thanks to Scholastic Canada for helping this late learner. Holy smoly I finally figured out how to add a widget to my home page so you peeps can subscribe to my blog on any feed you want! Yes, I know this may not seem like such a big deal to you, but it is to me. Not because I figured it out, but because I finally got off my but (or in this case on it) and actually figured it out. To celebrate I’m hosting an impromptu giveaway. 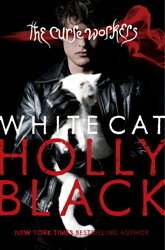 Up for grabs is a copy of Holly Black’s White Cat. Now, to be honest, I really didn’t care much for this book, but I seem to be in the minority. Most readers love, love loved it! I’m quite giddy about today’s accomplishment, so don’t be surprised if I add something(s) to the giveaway. *If you only leave a comment and don’t subscribe, you won’t be entered in the draw. My husband recently surprised me by uploading some amazing 80s songs to his iPhone. The reason I was so surprised? Not only were they some of my favorite songs, but they were tunes I didn’t even know hubby liked. When I asked him he said the reason he uploaded the songs was because he knew they were faves of mine. (Cue the “aaaaahhhhs” now). One particular song brought me straight back to grade 8 and instantly put a smile on my face. I laughed and clapped my hands in glee, because I hadn’t heard it in years. I love this video. The dancing antics of the lead singer, Peter Garrett, alone make it watchable. And I find him kinda hot, too. This fun weekly book meme was created by J.Kaye’s Book Blog, but Sheila from One Person’s Journey Through a World of Books has taken over hosting duties. It’s a great way to not only keep track of what you are reading and have read, but to let others know of any great books coming up. I haven’t posted one of these in a while and I’ve really missed it. The Truth about Delilah Blue by Tish Cohen – My first Cohen book. I simply adored it. Beautifully written with wonderful characters. I will definitely be going back and reading her other books. The Breakwater House by Pascale Quiviger – This was a different read for me. Stories within stories within stories. Sometimes confusing, but the language is so stunning it’s well worth it. The Ghosts of Ashbury High by Jaclyn Moriarty – The format of this YA gothic novel has made it a bit hard to get into, but I am starting to enjoy the story. Paul is Undead by Alan Goldsher – This looks like a freaking hilarious read. Wicked Girls: A Novel of the Salem Witch Trials by Stephanie Hemphill – I think this YA book is going to be dramatic and delicious. 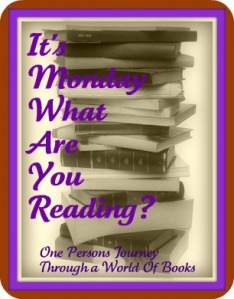 Categories Book talk, It's Monday! What are you reading? Yeah, so my big Do Nothing but Read Day will hopefully start now, at 2:30 pm. I know, I know, I was all hyper and set to go at 9 am this morning. 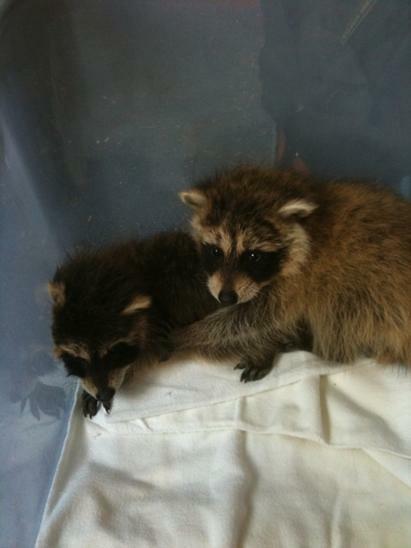 But remember that little aside about the orphaned raccoon babies? Well, they arrived. 🙂 So there was de-ticking, feeding and raccoon cuddling happening today. But the little tikes are sleeping so I should get in a couple of hours of reading. 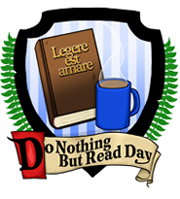 Oh, and hubby informed that in Colleen-land Do Nothing but Read Day can actually be TWO days.